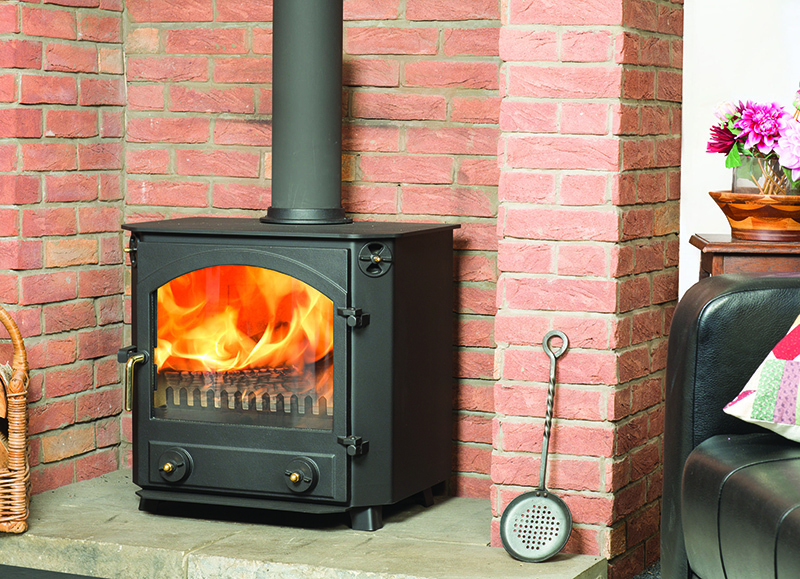 The Glaisdale is a large Town and Country multi-fuel stove, with a 10kW output. As with all the Town and Country stoves, the Glaisdale is solidly constructed, with a cast iron single door and a good sized glass area ensuring there is no interruption to the wonderful view of the fire, the flame picture is mesmerising. 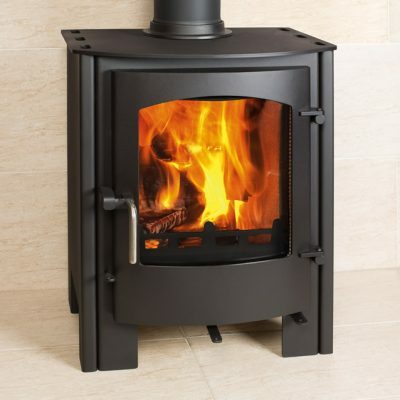 The design is simple, without a lot of unnecessary tubes welded into the stoves, and the combustion and fuel efficiency are excellent. The flat top makes an ideal spot for a kettle or casserole. 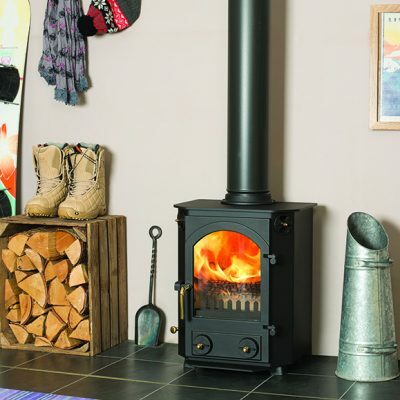 Note: There is a heat shield supplied with this free standing stove, which fits on the back panel. If this is fitted, allow an additional 30mm to the depth shown on this diagram. 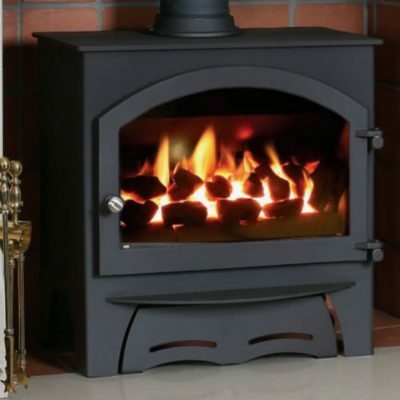 Like all of our stoves, the Glaisdale is available in black as standard, with a large selection of colours available at a small extra charge. The special paint we use is extremely resistant to high temperatures.